Marine Harvest ASA presented their view on the prospects for Chilean salmon aquaculture production during the next years at Havbrukskonferansen 2015. 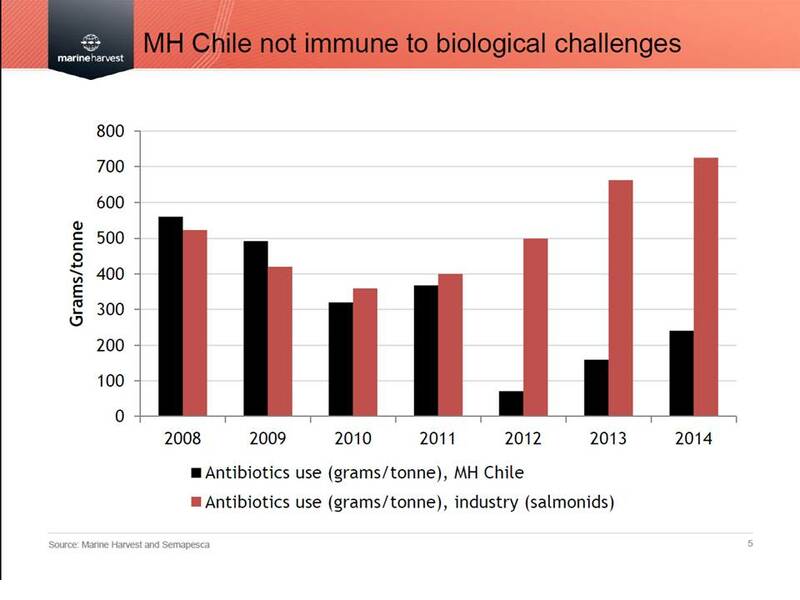 After the floor was reached due to the ISA (Infectious salmon anemia) crisis in 2010, the Chilean salmon production increased rapidly from 120,000 tons to more than 500,000 tons last year. The production quantity is expected to level off in 2015 and 2016. However, the use of antibiotics is outside sustainable levels. More than 700 g antibiotics/tons produced were used last year, this several hundred times higher than in other salmon producing countries. 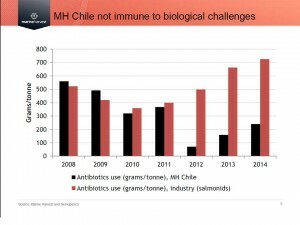 Outbreak of salmonid rickettsial septicaemia (SRS), native to Chile, has been the main reason for the increased use of antibiotics. 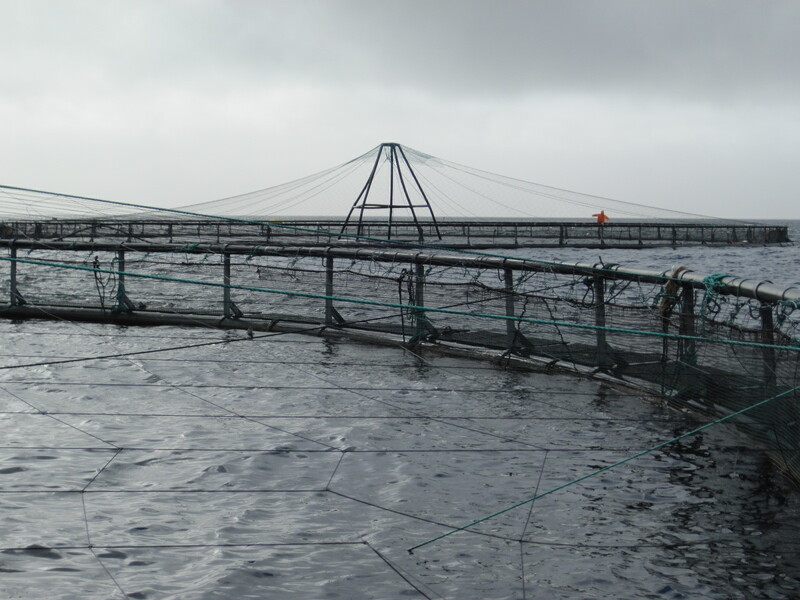 The SRS together with sea lice (Caligus) infestions has increased production costs and challenged the reputation of Chilean salmon. The profitability of Marine Harvest production in Chile has the last 5 years been significantly lower than the average in Marine Harvest’s Norwegian facilities, and during the last five years a positive EBIT/kg was only obtained in 2014. Marine Harvest ASA put forward a tight salmon market and exchange for CLP as positive factors for the next two years. On the negative is lack of governmental regulations and the industry’s ability to respond to challenges. Previous Post:Fish farming licenses – purchased property or fiduciary rights ?? Next Post:Food production is a global issue!